The Nissan South finance department offers our Georgia customers access to credit assistance and available bankruptcy approval programs that were designed to help even the most credit challenged individuals obtain a new or quality used vehicle. We understand that not everyone has perfect credit, but we don’t believe that should disqualify you from obtaining the vehicle you’re looking to purchase. Regardless of your current credit score or your previous credit history, Nissan South wants to help! The experienced personnel that make up our finance department work hard to provide our customers in Morrow and all of the surrounding areas with the opportunity to purchase a quality vehicle, while at the same time helping them improve their credit score through an auto loan they can afford. At the Nissan South Credit Center we take the steps necessary to make it easy for our Georgia customers to get financed. Visit 6889 Jonesboro Rd in Morrow to speak with one of our automotive finance specialists in person, or you can call (770) 968-1360 to speak with an experienced financing representative by telephone. We also offer a convenient online financing application that can be completed to see if you can possibly receive instant credit approval! 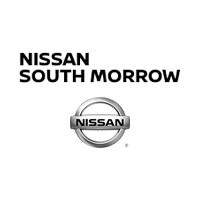 If you live in Morrow or any or the surrounding Georgia communities, stop in today and let the Nissan South credit assistance team tailor a car loan designed specifically for you.